India (October 10, 2018) — Datsun India, today launched the highly-anticipated new Datsun GO and Datsun GO+ for the stylish influential, young, progressive and dynamic Indian customers. At an introductory price of INR 3.29 Lakh for the GO and INR 3.83 Lakh, for the GO+, these offerings boast an attractive proposition of new design with an array of advanced features for evolving customers. Deliveries to new owners will commence today at all Nissan and Datsun dealerships across the country. The cars, offered as the perfect package for a new era, embodies class leading Japanese technologies to deliver fun and agile driving, fuel-efficiency, spaciousness & safety. The all new Datsun GO and GO+ comes equipped with Ride Control Advanced Suspension system and race-inspired 1.2L HR12 DE petrol engine delivering a mileage of 19.83Kmpl. Combining sporty exteriors and spacious interior, the Datsun cars are further enhanced with first in segment features to empower the owner with advanced safety, best-in-class space and connected mobility. The ‘Dynamic, solid and stylish’ exteriors with enhanced appeal complimented with great body stance gives the Datsun GO and GO+ a premium appeal. The cars have been well-crafted with ‘Sporty, Premium, and refined interiors’ that provide comfortable driving experience. The features include an All-New interior design with new instrument cluster, anti fatigue front seats, premium instrument panel, 7-inch touchscreen infotainment system equipped with voice recognition and Android Auto/ Apple Car Play. 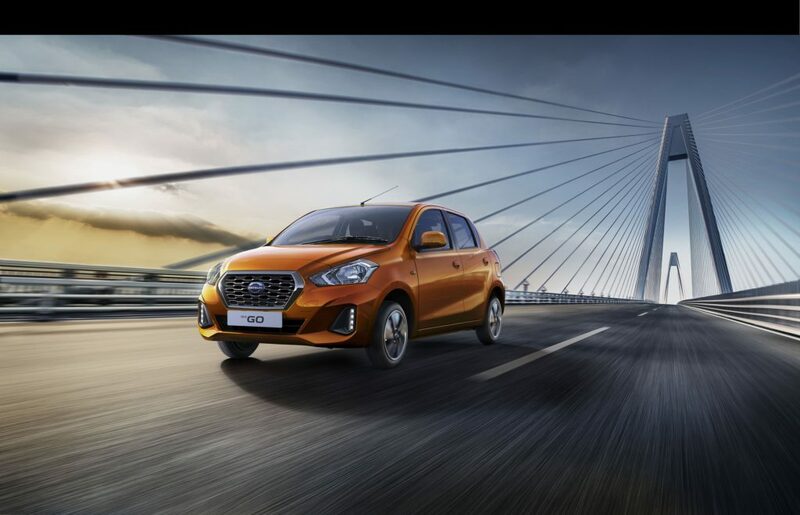 Available in 5 grades, the new Datsun GO and GO+ have been launched in two new additional colours “Amber Orange” and “Sun Stone Brown” respectively. Both the models will come with a standard warranty of 2 years ’Datsun Care‘ comprehensive all-inclusive car service package that offers peace of mind to customers. Datsun India recently announced superstar Aamir Khan as its brand ambassador in India. An accomplished film star known for his versatility and risk-taking attitude, Aamir Khan will be seen in Datsun India’s new brand campaign #ExperienceChange. #ExperienceChange is a 360-degree multi-media campaign that will go live on all the key platforms – digital, print, radio, TV, OOH, dealerships and city activations this festive season. The campaign will kick-off with showcasing the new Datsun GO and GO+.